Defamation of character falls into two categories: libel and slander. Libel is a written, including signs or pictures, defamation. Slander is oral, involves speech. "A statement that is merely unflattering, annoying, embarrassing, or that hurts only the plaintiff’s feeling is not considered defamatory." R. Sack, Libel, Slander and Related Problems (5th. edition, 2018) (Vol. 1). That the plaintiff thereby suffered harm. "A defamatory statement is one ‘which tends to expose a person to public scorn, hatred, contempt or ridicule, thereby discouraging others in the community from having a good opinion of, or associating with, that person." 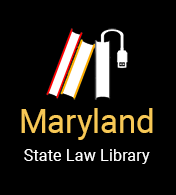 Maryland recognizes the distinction between defamation per se and defamation per quod. The determination of whether an alleged defamatory statement is per se or per quod is a matter of law. Determining whether the defamatory statement is per se or per quod is intertwined with the issue of fault. If the statement is defamatory per se, the plaintiff must prove actual damages if the defendant was merely negligent in making a false statement. Shapiro 105 Md. App. at 774. Damages are presumed, however, when a plaintiff can demonstrate actual malice, by clear and convincing evidence, even in the absence of proof of harm. Samuels v. Tschechtelin, 135 Md. App. 483, 549-550 (2000). Additionally, a court may take judicial notice if conduct is so egregious and/or injurious in nature. In such an instance, damages are self-evident. M&S Furniture v. De Bartolo Corp., 249 Md. 540, 544, (1968). For example, a statement which falsely charges a person with the commission of a crime is a case in which the statement is so egregious and injurious in nature, damages are self-evident. If the statement is per quod, then the jury must decide whether the statement carries a defamatory meaning. Shapiro 105 Md. App. at 773. That is, actual damages must be alleged and proved by the plaintiff. Truth is an absolute defense to defamation. Accordingly, convincing evidence of falsity is required. Other privileges may be asserted in defense of an allegation of defamation, including, but not limited to, opinion or fair comment privileges. In determining fault, public officials must prove by clear and convincing evidence that statements were made with “actual malice,” i.e., knowledge of falsity or with reckless disregard of whether false or not. In contrast, private individuals use a negligent standard, i.e., failing to act with due care considering the circumstances. If the defamatory words are actionable per se, the law implies or presumes general damages, but if the words are actionable per quod, the plaintiff has the burden of proving damages. Compensatory Damages are recoverable. With this type of damages, the injured party may recover only as much as will fairly compensate for the injury sustained. Compensatory damages may be general or special damages. Punitive damages are recoverable where fraud, malice, evil intent or oppression has been proven.